Russell Taysom is a London-based illustrator whose work merges the comical and the commercial to create something completely unique. His drawings are heavily influenced by the cartoons and wrestling shows he watched as a kid. Russell has recently been working with Fluffer Records - designing and illustrating their gig posters. He has attracted gig-goers from all over London - including myself - with his eye-catching promotional visions, dotted around various venues. He has also collaborated with NME, Topman and Riff Raff. 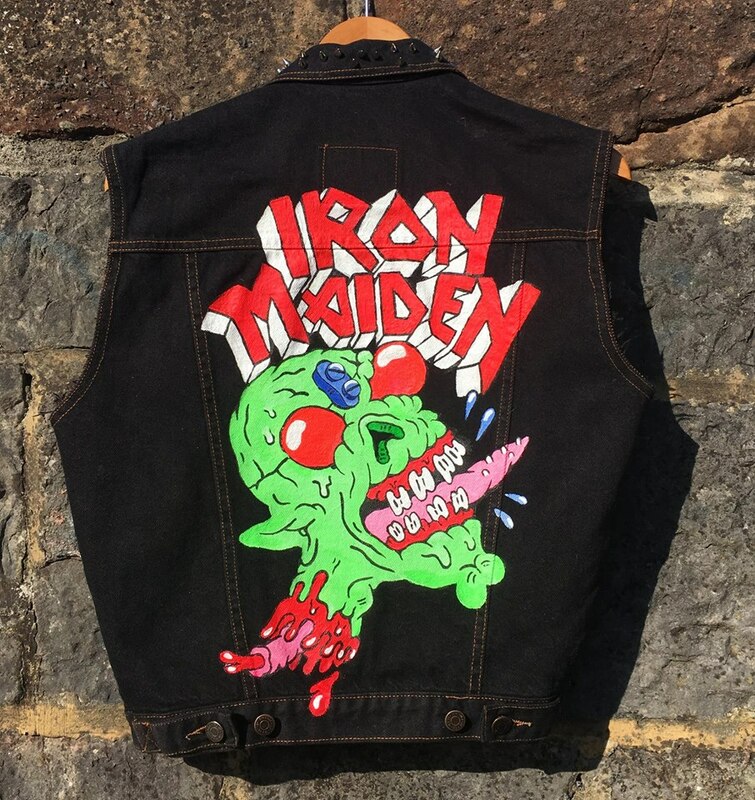 His strikingly vibrant designs brilliantly translate onto physical materials ; most recently, his work has been painted onto a denim jacket, and he’s also created wrestling figurines. The next edition of the zine that Russell has been working on for a number of years with his friend, Flabby Dagger, is due out now. Flabby Dagger often toys with the disconcerting or gross, and this makes it a chillingly engaging read. Check it out on Instagram here: @flabbydagger. His work is often alarming and even outrageous, and always compelling whilst retaining a humorous edge.